The Florida secretary of state has ordered a recount in the state's tight races for Florida governor, senator and agriculture commissioner. Florida will hold a recount in the state's tight races for U.S. Senate, governor and agriculture commissioner. Florida's Secretary of State on Saturday officially authorized a machine recount in the three statewide races. 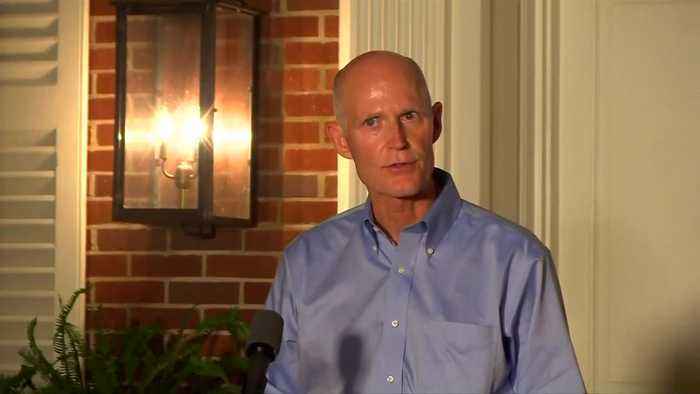 Republican Governor Rick Scott holds a razor-thin lead against incumbent Democrat Bill Nelson in the race for U.S. Senate. By Saturday afternoon, Scott's lead narrowed over Nelson to about 12,500 votes or .15 percent. In the state's other close race, Republican gubernatorial candidate Ron DeSantis leads Democrat Andrew Gillum by about 33,700 votes or .41 percent. After the recount was ordered, Gillum withdrew his concession. SOUNDBITE: ANDREW GILLUM, SAYING: "I am replacing my words of concession with an uncompromised and unapologetic call that we count every single vote." Election officials have until 3pm on Thursday to complete the machine recount. If the results show a margin of .25 percent or less, which could be the case in the Senate race, a hand recount will be ordered. Results from the hand recount would be due on November 18th. PROTESTERS SUPPORTING CANDIDATES ON BOTH SIDES POURED OUT INTO THE STREETS. The drama conjuring memories of the state's 2000 presidential recount. The winner then hung in the balance for weeks before the U.S. Supreme Court stopped the counting and Republican George W.
Bush WAS DELARED WINNER OVER Democrat Al Gore. Without providing any evidence, President Trump has accused Democratic election officials in Florida's Broward and Palm Beach Counties of corruption. Tweeting "Trying to steal two big elections in Florida! We are watching closely!" The recounts and possible legal challenges mean it could be weeks until a winner is determined in these too-close-to call races. 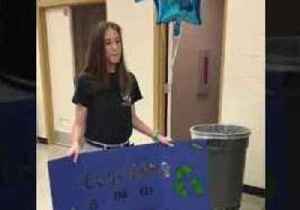 Seventeen-year-old Kaylee Bean pulled a special “promposal” for her best friend, Richard, at JW Mitchell High School, in New Port Richey, Florida. Kaylee first met 21-year-old ESE student Richard..
Seventeen-year-old Kaylee Bean pulled a special “promposal” for her best friend, Richard, at JW Mitchell High School, in New Port Richey, Florida. Kaylee first met 21-year-old ESE student..